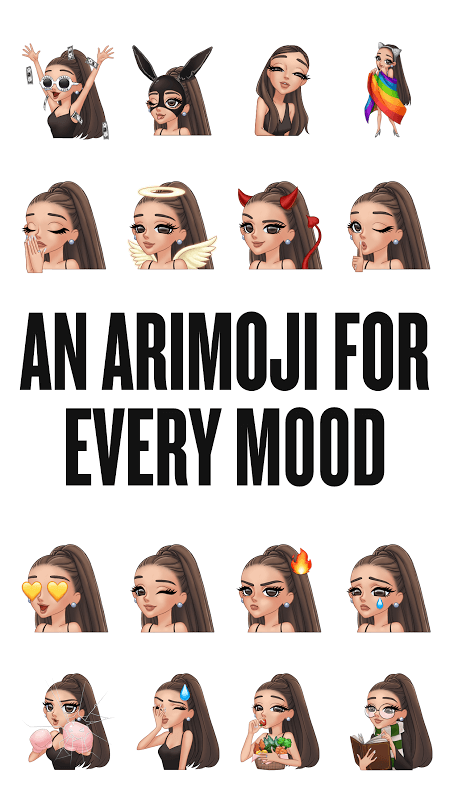 ARIMOJI by Ariana Grande is a great gift for fans of the famous American singer. This app brings a collection of mobile keyboards with Ariana Grande’s gorgeous multi-touch stickers. Ariana Grande-Butera (born June 26, 1993) is an American singer, songwriter, and actress, stage named Ariana Grande. Ariana grew up in Boca Raton, Florida. She first appeared on the Broadway stage in 2008 as Charlotte in the 13th musical. Some of her hits, such as Problem, Bang Bang, Break Free, The Way … She has also participated in several dramas and won numerous awards such as Best Actress, Favorite TV Actress. As we see, Ariana Grande is a great girl, right? For fans who love Kimojis (emoji of Kim Kardashian) and fans Ariana Grande, this is definitely the perfect smartphone application ever. The 24-year-old pop singer Ariana Grande has officially released its own unique phone keypad for fans on the Play Store. 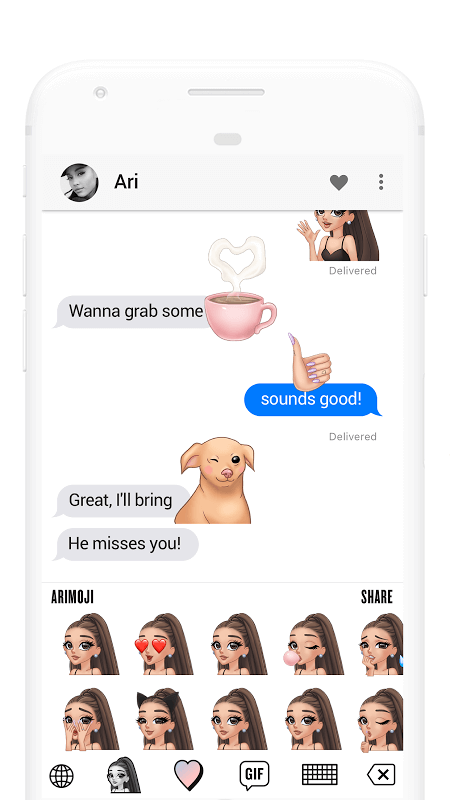 ARIMOJI by Ariana Grande for Android grants access to a range of emoji, animated gif that express the exclusive Ariana Grande style mood. New content is constantly being updated. Consequently, users never feel exhausted or bored because of having to use one picture repeatedly. If you are a fan of sweet, hot but no less cute singer, do not hesitate to add ARIMOJI by Ariana Grande to Android idol collection.